Went to Bolsa Chica with my wife last weekend to watch the birds and the photographers. Always entertaining. Kind of frustrating that the egrets and herons like to hang out by one of the water inlets with an ugly as sin chain link fence right behind them. Ah well. 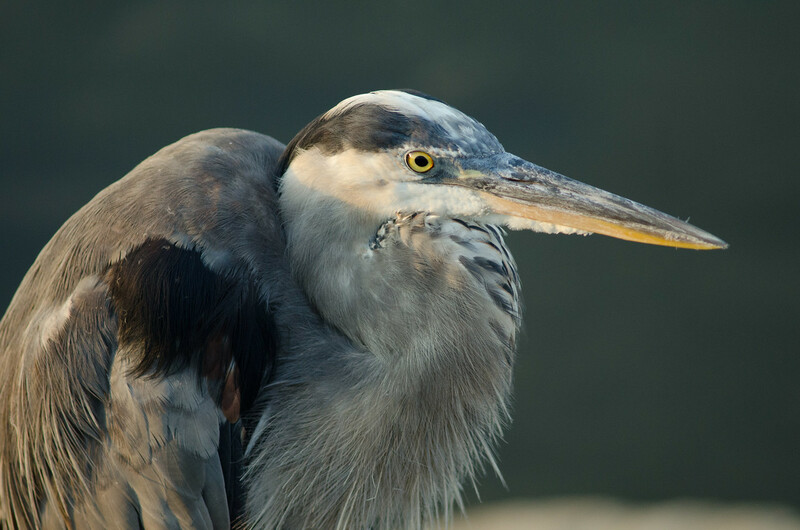 As we were packing up to leave, my wife pointed out a great blue just a few feet off the path on a rocky embankment. I only had my 300mm with me, so I had to back up a bit to get a good shot. I'm not sure about the background here, but it seems like a nice close-up. Any C&C? Link to album with the photo.